Some of you might have been around long enough to remember when I made quilts for all of my husband sisters and my sisters (neither of us have any brothers). I loved the thought and care that went into selecting fabric, patterns, and quilting designs for each of their quilts. It has brought me so much joy to see them in photos and being used. My dad just turned 65 and I wanted to make him a quilt. It seemed silly since my mom is also a quilter, but I went with it anyway. 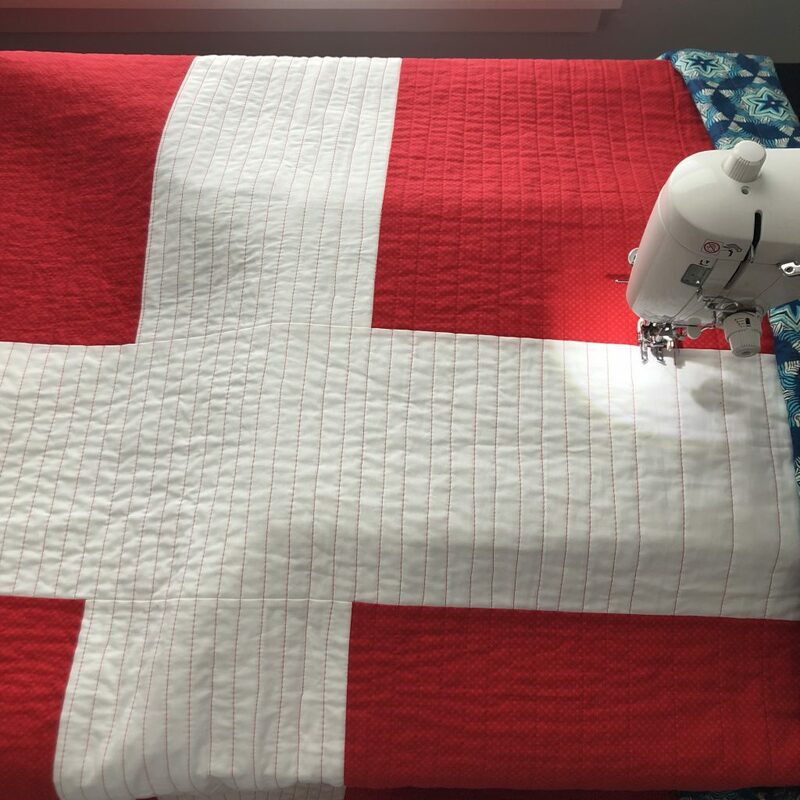 My two sisters helped pitch in for supplies and we decided on making Maker Valley’s Nordic Quilt . 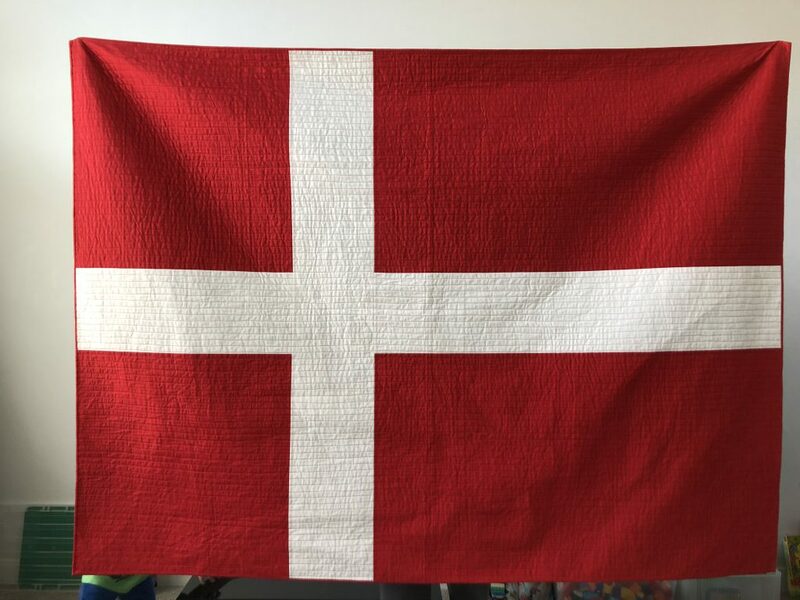 Holly is SO clever and provided coloring options for many of the Nordic flags, including Denmark. I bought her pattern, figured out the finished sizes of each quadrant, and then I decided to use one piece of fabric instead of a patchwork. Did I mention I started this quilt 1 week before his 65th birthday?!…….. I used Riley Blake’s newer basic called “Kisses” in red. I love the tiny bit of dimension the x’s add. I finished it off by doing some straight line quilting in red, 3/4″ apart, on my own Juki. My spray basting did not stick and it was a little touch and go there for awhile, but it came out great. My dad was very happy and I’m sure he’ll get LOTS of use with this in the Arizona heat. 🙂 I loved making a quilt for another family member and as of now, the only one left is my mother! Won’t that be a challenge to make a quilt for a quilter, but I think I’m up for it! Beautiful – and love how you quilted it! It is absolutely stunning!